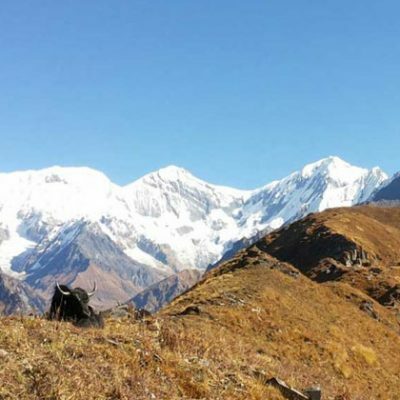 Royal Trek – an easy yet fascinating camping trek in Nepal. But you can opt to spend nights at hotels and tea houses. Imagine sleeping under the blanket of sparkling stars and waking up in spectacular location. The Royal Trek in Nepal is so named because Prince Charles and his 90 entourage visited here in early eighties shortly before he married Princess Diana. 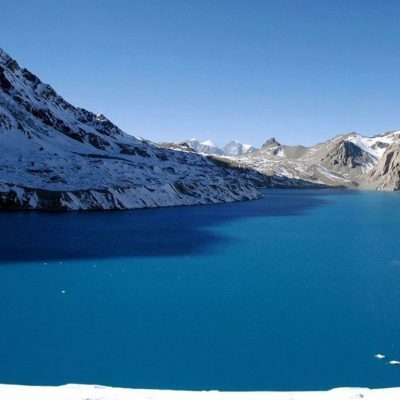 The route is also used by Nepal’s royal family; making it popular among travel seekers. 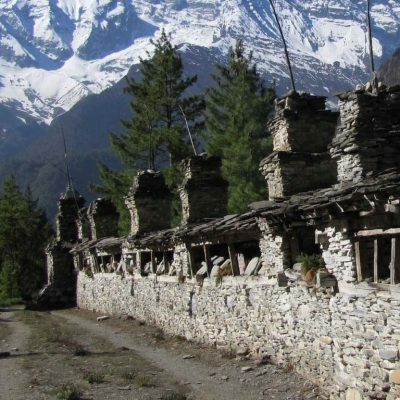 Royal Trek is one of easiest yet beautiful trekking route in the Annapurna region suitable for all; even for the beginners and elderly people. The trail takes you through an easy route with gentle ups and downs that goes to ridges and valleys. We make sure; you will hike on spectacular section of royal trail to offer you a complete experience. Then Royal Trek is best option for you. It is perfect for those who wants the mountain hiking experience but are limited by time and fitness. 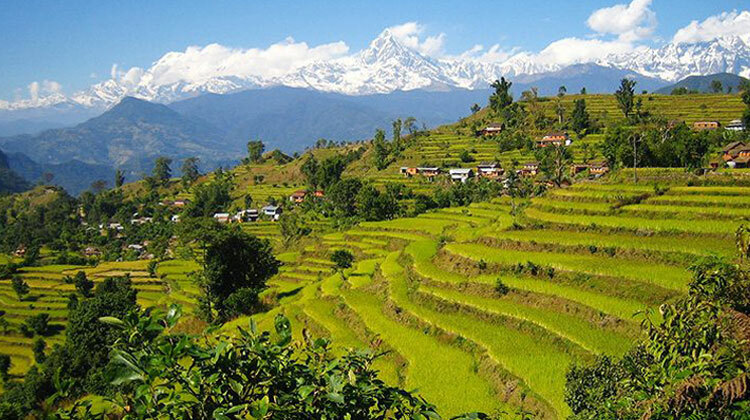 The journey of Royal Trek start with an exciting drive to Pokhara through the beautiful countryside andfollowing the down steam of Trishuli River. Trishuli is famous white water river rafting spot suitable for family &amp; beginners. 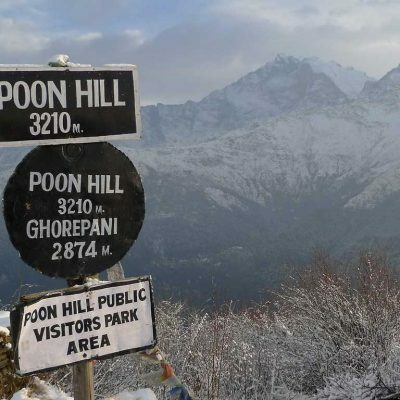 The Royal trial follows the flat route through rice fields and climbs gently up to the ridge top through Brahaman and Chhetri village and continue towards Kalikasthan (1,370m/44 94 ft). 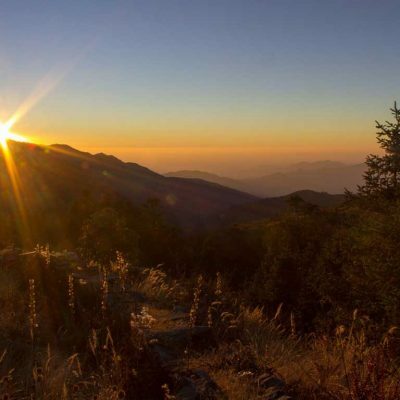 Set a camp at a ridge top nearby Kalikasthan; offering good view of Annapurna massifs including Annapurna South and Machhapuchhre. From Kalikasthan, the trail follows the forested ridge through Thaluket Mathi Thana and then make a short climb to reach Naudanda. At Thaluket Mathi Thana, there are some teahouses where we can halt to take a cup of tea and snacks. Further continuing through ridge, we reach Lipni Village and make a steep but a quick ascend to the village of Shaklung. Shaklung is small village engulfed by magical rhododendron forest. We overnight at a camp nearby the village. 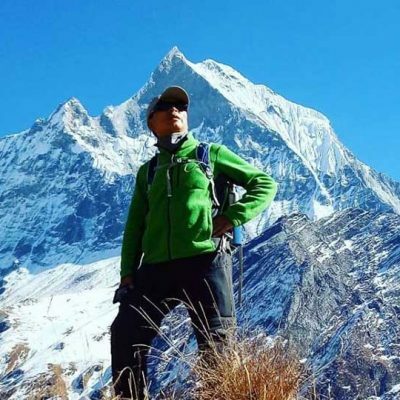 The Himalayan Panorama becomes more dramatic as the route takes us closer to Annapurna II, Lamjung, Manaslu and Hiuchuli. 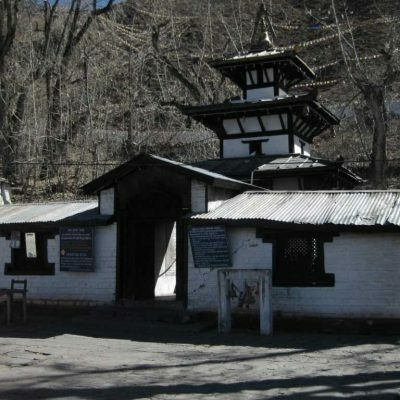 From Shaklung, the royal trail drops down steeply and pass several teahouse and police check-point. Here the trail splits: W trail leads to Begans Lake and E to the Narshyangdi Khola. We climb about 600m winding around the back of Hill to reach Chisapani. 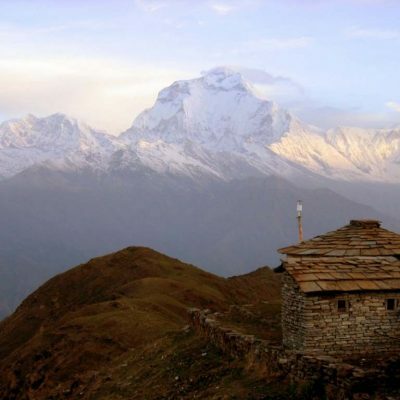 Chisapani offers the great Himalayan Panorama – Annapurna I, Machahapuchhre and Dhaulagiri are some name to few. Next day, we walk all the way down to Begnas Tal. 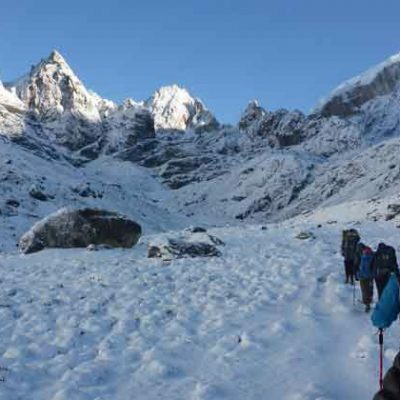 Initially we descend down to Rupatal and then climb about 200m to reach Sundare Danda. 15 minutes leisurely walk will take us to Begnas Tal where we enjoy boating. We can interact with paddlers to know about their life and hardship. We then board on a private vehicle back to the hotel at Pokhara. You can either fly or drive via same route back to Kathmandu. Our Royal Trek Package includes complete set up and pack down of your campsite (pitch &amp; pack) and everything needed to cook, sleep and eat including a private toilet and shower. 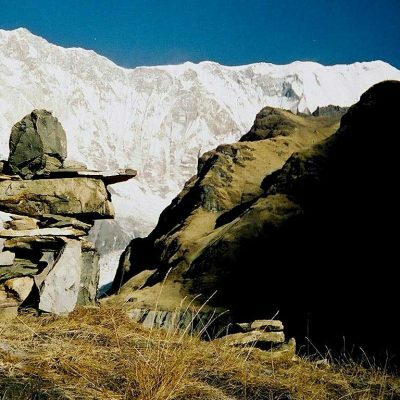 A professional trek guide and porter will accompany to assist you throughout the trek. Likewise, “a team of Kitchen” will join you to offer you a hygienic and delicious food. Read Cost Info Section for further information. Drive / Fly back to Kathmandu.